I have two daughters. As they grow older it’s wonderful to see their relationship strengthening, turning into a deep friendship that I know will support them both for the rest of their lives. 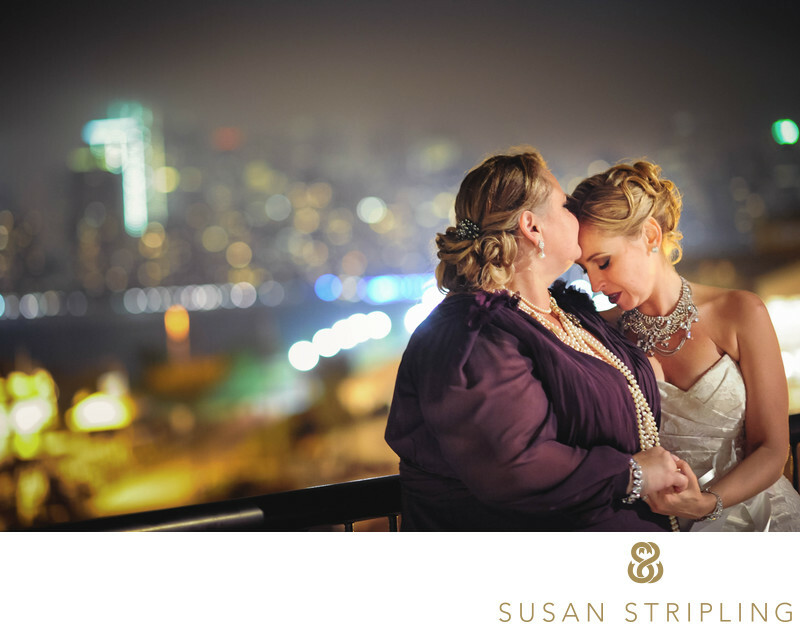 At this Maritime Parc wedding the bride had a sister as well, and their bond was breathtaking to witness. I absolutely love this documentary moment from the wedding reception. The bride and her sister were outside on the Maritime Parc balcony, just hanging out and looking at the views of the Manhattan skyline and the Statue of Liberty. I was documenting the interaction, quietly and unobtrusively, when the bride’s sister quietly kissed her on the forehead. I am so glad that I was there to capture this image for them. Location: 84 Audrey Zapp Dr, Jersey City, NJ 07305. Keywords: Jersey City (18), Liberty House (24). 1/30; f/1.8; ISO 6400; 85.0 mm.